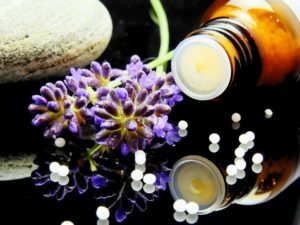 What is the Difference Between Homeopathy and Allopathy? Homeopathy is a two hundred and twenty year old system of medicine. A German doctor Samuel Hahnemann discovered its principles in 1796, although it is based on observations going back to Hippocrates. Our page Homeopathy Explained has a full description of the history and philosophy. It is now one of the most widespread and recognised forms of alternative medicine in the world today. While it has stood the test of time, it is currently the subject of vigorous campaigns to discredit it in the western world. In places like India, on the other hand, it is largely recognised and integrated into the medical system. It cannot completely replace orthodox medicine. Both have their place. We see it as complementary, and that is the message we wish to convey. In some places it is assumed to be a synonym for alternative medicine. In Australia, however, naturopathy has gained that title. This is a true umbrella term. 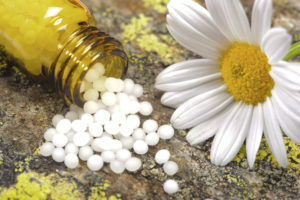 But homeopathy is a very specific form of natural medicine, with its own principles and philosophy, prescribing principles and methods of preparation. 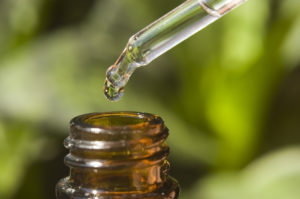 It is the main therapy used at our Perth naturopathic clinic. While superficially it is a challenge to accepted medical science, it has a very logical, consistent philosophy and methodology. It is no more challenging than quantum physics is to Newtonian physics. Both appear to contradict each other, but both are true in their own sphere. Hahnemann wanted a new principle of medicine, because he was dissatisfied with the medicine of his day. He was searching for a universal law of healing. Orthodox treatment was opportunistic, using whatever seemed to work on symptoms, without any underlying principle or philosophy of health. That is still the case today. 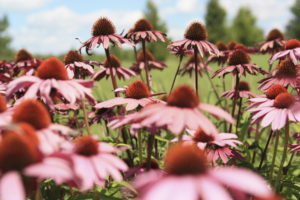 The remedies were also mostly highly toxic, and given in large doses to cause chemical changes in the body . Then, as now, medicines had their own side effects. Most were more more dangerous to the health of the patient than the disease they were treating, which is what Hahnemann recognised. Hahnemann called the orthodox system of medicine “allopathy”. That is because mostly it treated by contrary principles. Homeopathy, on the other hand treated through the Law of Similars. We will discuss these principles and other points of difference below. In Hahnemann’s day, as today, conventional medicine largely used medicines that would oppose the symptoms of disease. For example, if the patient had diarrhoea, they would give something that would bind them up. In other words, they gave something that in a healthy person would cause constipation. In any discharge, they would prescribe a drug that would oppose that action in the body, and so on. This is all regardless of what the body is trying to do in its own wisdom. The homeopathic idea is that symptoms are a guide to what is going on in the body. It is not the problem itself. You may think that in modern times orthodox medicine has become more sophisticated. But while treatment may be more effective, it is only effective at suppressing symptoms. The underlying condition continues, and health usually worsens. If there is inflammation, they give anti-inflammatories – without considering that inflammation in the body is there for a good reason and is a healthy response in itself. You may think that the modern use of antibiotics is different. Don’t they treat the cause? Only in a limited sense. Not everyone exposed to the same infection gets the disease. That doesn’t take susceptibility (discussed below) into account. Also, they don’t aid the body’s learning processes; on the contrary, they cause a whole host of collateral damage on the immune system itself, most of which is in the gut. Granted, they can save lives, and that is how they should be used. The Law of Similars is the principle underlying homeopathy. This states thata substance that can cause a pattern of symptoms in a healthy body in a large dose, when given in a tiny dose to a sick individual, can cure a similar pattern. We will explain further why this is so. For the Law of Similars to work, the dose of the homeopathic remedy needs to be minimal – in fact infinitesimal. Hahnemann experimented with smaller and smaller doses. He found that he could give increasingly smaller doses to the sick patient, provided that there was a close similarity between the patient’s symptoms and those of the remedy. In fact, he continued diluting and “succussing” the remedy (striking the bottle – as described in Homeopathy Explained) past the stage of any molecular substance remaining. There is now some evidence that water forms clusters that retain and mimic the effects of the original substance. Obviously without the chemical substance any toxic effect has gone. 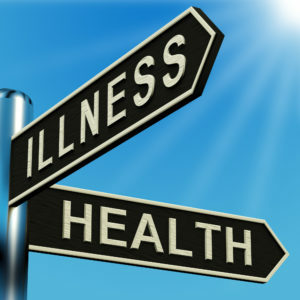 In a way, it is respecting the idea that the symptoms of the disease itself are a healthy process. They need to be aided, not suppressed. In truth, if there is diarrhoea or a nasal discharge, for instance, the body is trying to shed toxins, bacteria or viral particles. The homeopathic remedy mimics this process on an energetic level. It shows the body how to respond more fully at at at a deep level of the immune response. In a superficial way, it is similar to the idea of vaccinations, but without the toxic, large dose of substance. Given in tiny doses, the medicine has to have the similar pattern to have an effect. It can’t have a chemical effect; there isn’t enough there to do that. It has to match the pattern, thereby teaching the body how to respond. We don’t yet fully understand how this happens. We see it work in practice, without toxic effect, so we describe the effect as “energetic” or “informational”. On the other hand, prescribers give medical drugs in a large enough dose to have a chemical action. Symptoms are only important as an aid to diagnose a disease category, which then determines the drug. These drugs must be strong enough chemicals to over ride the symptoms produced, which is the desired result. That means that side effects are inevitable at some level, even if they are not always immediately obvious. Allopathy or conventional medicine only shows interest in symptoms to diagnose a disease category. On an individual level a doctor may mean well and be a caring empathetic individual. But that is largely beside his or her role as a physician for the purposes of diagnosis and treatment. Their job is to find out what type of disease the patient has, and prescribe accordingly. Pathology tests help to assist that process. However, as everyone knows, in the majority of cases, doctors readily prescribe drugs before receiving test results. To the homeopath, the symptoms are even more important. That is because, to choose the right remedy, he or she has to know everything about the patient and the symptoms on all levels: mental, emotional and physical. So to the homeopath empathy is important to allow the patient to trust and open up. In fact, the symptoms that are unique to that patient are more important than those that are typical in the disease diagnosis. The symptoms of the whole person, particularly the ones that are individual, are the key to the underlying disturbance. So the homeopath also needs to diagnose the disease, in order to largely discount the “common symptoms” in the choice of remedy. These “characteristic symptoms” tell us more about the patient and their unique susceptibility, than the common ones typical to the disease. These are the ones that we must match with the picture of the remedy to mobilise the healing forces in the body. It is also important to understand the disease to have a prognosis or likely outcome if things continue. We may well send the patient to a doctor for diagnosis, if they have not already been. Emotional and mental symptoms are the most important symptoms to the homeopath, even in a physical disease diagnosis. That is especially so in chronic disease. Modern medicine also understands the importance of stress and emotional factors. “Psychoneuroimmunology” has become a thing. But the doctor has few tools to deal with that, and the drugs they use do not take the whole patient into account. In homeopathy we have remedies for reactions to grief, guilt and numerous other emotional realities. These remedies help resolve the patterns and blocks that trigger and maintain disease states. 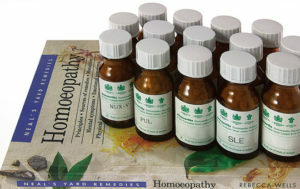 We have already stated that all homeopathic remedies act in the same way. That is through the homeopathic principle of similia. What they can cause in material doses they can cure in homeopathic or non material doses, via a principle of resonance with the person on all levels: mental, emotional and physical. If there is no resonance, there is no result. As the remedy is information only, the “wrong” information has no effect. That is, unless taken over a period of time in a “proving” situation, as we describe below. It is not a chemical substance that imposes its own influence on the body, producing side effects in the process. So how do we know what symptoms the remedy covers? That occurs through the primary method known as “proving”. A group of relatively healthy individuals get together in a group and take a remedy over a period of time, usually weeks or months, and record and then compare the symptoms they experience. These are mostly more subtle symptoms, such as energy levels, sleep patterns and mental and emotional reactions. Provings produce some physical symptoms. But they do not last or cause any harm. They disappear when they stop the remedy. 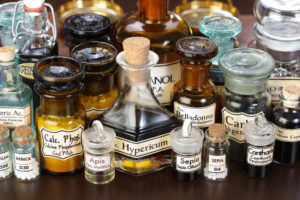 For the symptoms of deeper physical pathology, homeopaths investigate the reports of toxic effects of the substance in large, non-homeopathic form. That is, from accidental poisoning. Homeopathy has never experimented on animals – only on healthy willing human volunteers. On the other hand, drug companies test medical drugs, largely in “gold standard” randomised controlled trials (RCT’s). Basically, they give the same drug to everyone with the same disease and they test this against placebo. This idea is totally the opposite to homeopathy, where every patient gets a different medicine, depending on their exact pattern of symptoms. That is why validation by RCT is not a good test of homeopathy. Medical scientists largely insist on that anyway. That is because they don’t believe or understand the homeopathic approach. And despite these facts and that no drug company is willing to spend millions on testing their competition, there is still much information that homeopathy is at least as good as drugs measured by that principle. “Observational studies”, where the real world application of homeopathy is studied in clinics generally are more suited to homeopathy. There are many studies that show very positive results. Here is a summary, including RCT’s of the positive scientific evidence for homeopathy in many conditions. Homeopathy recognises that disease and disharmony occur in an individual for a number of reasons. Firstly, the individual comes into the world with inherited weaknesses. Modern science recognises these as genetic in nature. It was once thought they were fixed and unchangeable. We now know that genes can be turned on and off through a process of epigenetics. This occurs through our lifestyle choices, diet and emotional experiences and stress. It is now understood that the experiences of our antecedents affect our gene expression, going back at least 14 generations. That includes emotional trauma. Those things – lifestyle choices, diet emotional experiences and stress – are the second thing that influences our health. Homeopaths have always said that. We also believe that any treatment, including drug treatment, will weaken the organism and have a negative impact on health. Anything which does not strengthen the body’s innate healing mechanisms eventually contributes to chronic disease. Homeopathy has always acknowledged the impact of heredity. Modern medicine recognises that but has no way of treating it. Hahnemann himself developed the concept of “miasms” or patterns of ill-health. Subsequent homeopaths saw these influences being passed through the generations, and developed treatments to address that level. All these things influence the susceptibility of the patient. Disease does not happen by accident. The whole of the orthodox medical system, including the concept of vaccinations is in denial of this principle. Drug treatment – allopathy – ignores it. Medical science does not see the relevance of it. It is too busy treating the body as a machine and dividing it up into compartments and systems. They try to manage and suppress the symptoms rather than seeing them as part of a much bigger picture. Homeopathy on the other hand acknowledges heredity and takes it into account in treatment. It takes a careful timeline, acknowledging life experiences, trauma, diet and dietary preferences and drug treatments and surgeries, as well as any acute and chronic diseases. These things are all important in the specific choice of remedy. The chosen remedy and subsequent treatment then strengthens the healing mechanism of the patient on all levels, mental, emotional and physical. The Vital Force is the name that homeopathy gives to that healing mechanism. It connects all levels of our being. Health is no more nor less than the relative absence of symptoms on all three levels of being: mental, emotional and physical. 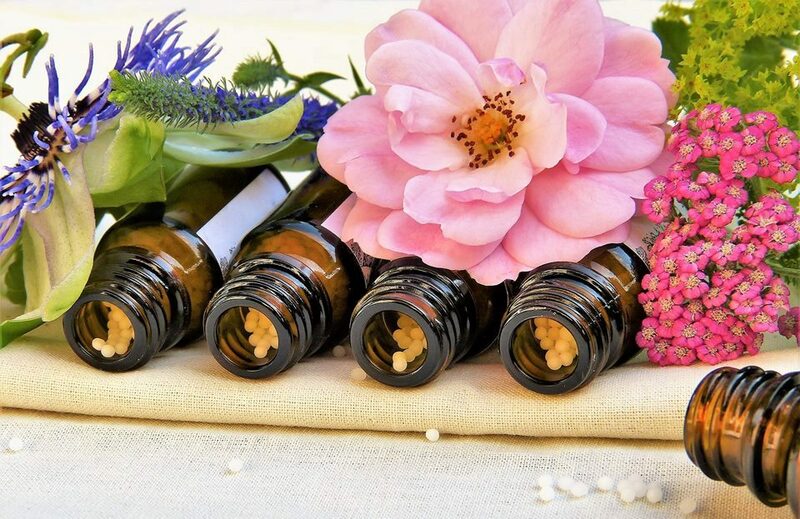 In advising on the current lifestyle blocks – obstructions to cure as Hahnemann described them – the homeopath assists the patient to heal themselves. 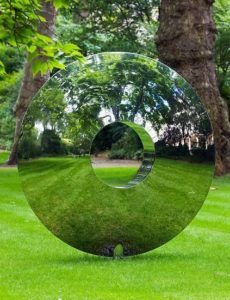 In reflecting back to them their imbalance on all levels and providing the remedy that matches their life experiences and trauma patterns, we believe that true healing is catalysed at a dynamic level. Homeopaths see that every day in practice. Modern medicine is wonderful at saving lives. It is necessary for emergencies and surgery. Because homeopathy works with the healing force of the patient, at times that force may be too weakened to be restored. Homeopathy can also palliate, or help manage symptoms, but in some chronic cases drug treatment may be the best option. It is important that both homeopathy and orthodox medicine work together in the best interests of the patient.